Thomas Taylor was rescued today. He was declining and we could not wait any longer for help with rescue. He had lost ¼ of a pound. He went to see Dr Singh and had x rays, exam. Bad news: He has a fractured jaw, two broken teeth and one missing back molar where the jaw was broken. His prognosis is guarded but the vet sent him home with heavy antibiotics and meds, plus special instructions for how to feed him. Poor bunny. Send your love and get well wishes. He will see the vet again in 7-10 days for a reevaluation Pray that his jaw heals. Our already over full med site took him in. Help! Hi, my name is Thomas – I was hurt & my front tooth is broken… and then I was dumped at the shelter! I can eat a bit and drink water. But the shelter needs me out by May 4th! Will you please get me out of here? 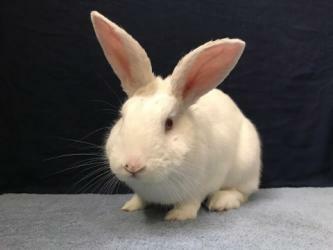 I am a big sweet bunny and I need out ASAP – I need treatment right away and to be examined (Haven will pay)… Will you help me by giving me a place to stay? I promise to be good and take medicine and use my litter box, OK? I am a lovable boy and I am so hungry. All I need is someone who can feed me until my tooth can get fixed and help me get to a vet. Can you help? Do you know how to feed a bunny? Are you free to take me to the vet in San Jose? I hope so. I am nervous waiting here. I am really in need to vet care too. Can you give oral meds (it is easy) -BUT I am on borrowed time. I have only until May 4th to leave the shelter. I could go sooner if you have room for me. Rabbit Haven pays for my vet visit, critical care and medication. Does that sound good? I hope so –My situation is dire. Please call the Haven right away please. 831 239-7119 11AM to 11PM- she can tell you all about me. You could also email if you want to Director@therabbithaven.org – As soon as you can ok?? ?